The days are drawing in and the sun is starting to rise later in the morning. A few more weeks and we will be putting the clocks back. 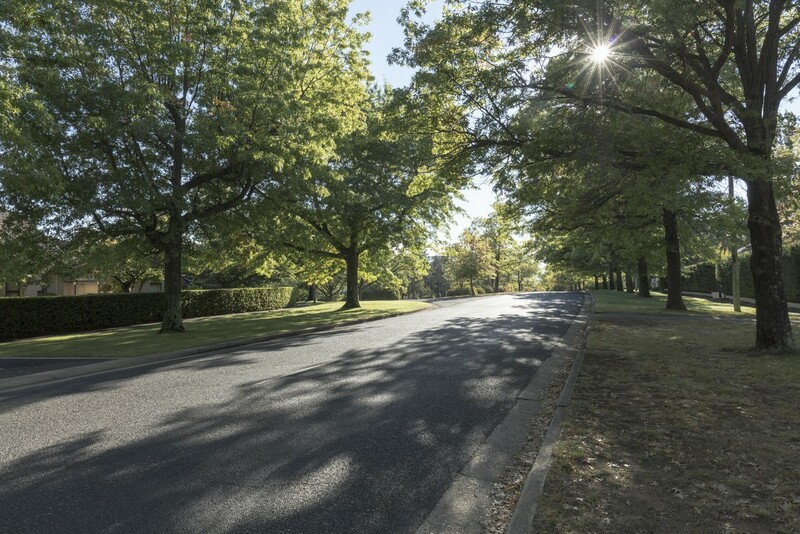 This street is in one of the nicer areas of Canberra. Houses around here cost a lot of money. Love the long shadows and sunburst! Such a peaceful looking scene. Fabulous shadows and light. Love the sunburst! This looks so peaceful. It looks a very quiet leafy suburb. Nice sunburst too. I dare say I'd be happy to live on such a pleasant-looking street. Thank you for the generous comment shared on my macro saxophone pic. Appreciate that, Nicole. This scene has beautiful lighting, and a wonderful burst from the sun! Beautiful time of the day for this photo. Sounds like the neighborhood my husband is working in at the moment. In fact he is tiling a room that used to be part of Whitney Houston's recording studio. How about that?! This is very pretty with that nice little starburst coming through the trees.